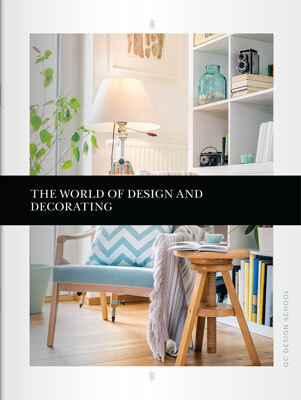 Expand your knowledge and increase your interior design services. For a limited time only, enroll in any QC Design course at 50% off and receive an extra $50 off your tuition. Not sure which course to take? Contact us and we’ll help you customize a training program that suits your goals. Not sure if these courses are right for you? Click on the course descriptions to learn more! QC Offers Online Design Courses for every area of home design and decorating. Start a new and exciting career in one of these growing fields! Fill out this form to submit your enrollment request and we will get back to you to confirm your payment details. Or, contact us today to enroll by phone!